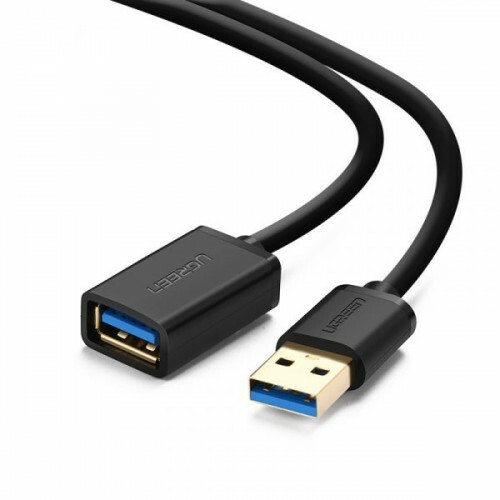 UGreen NEW USB3.0 A male to female flat cable Black 2M lead for Playstation, Xbox, Oculus VR, USB Flash Drive, Card Reader, Hard Drive, Keyboard, Printer, Camera. 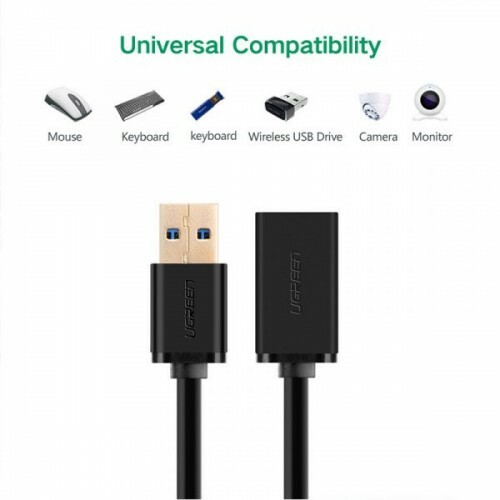 This cable extend USB connections by 6 feet between your computer or Mac and USB devices thereby giving you the liberty to move away from your desktop while using your USB devices. The cable features a Type Male A connector on one end that plugs into your computer and a Type Female A connector on the other that connects to the USB cable you wanna extend. 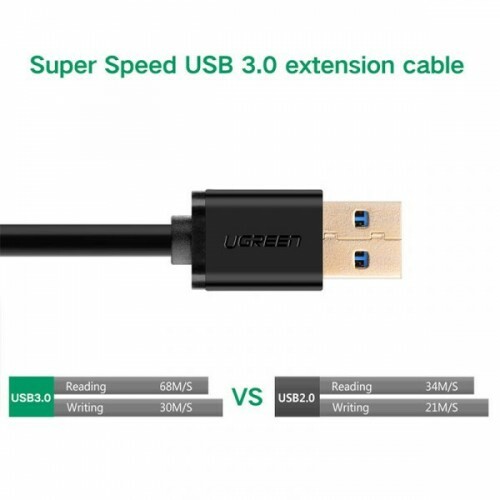 In USB flat cable super Speed USB 3.0 data transfer rate at up to 5 Gbps, 10x faster than USB 2.0. Corrosion resistant tin-plated bare cooper conductors, gold plated connectors and foil with braid shielding keeps the maximum conductivity and minimize data loss for the extension process. The repeater cable features gold-plated connectors that resist corrosion for signal purity and durable with more than 10000 times plug. When use this cable no drivers required on any OS, including Windows, Mac OS, Linux, Chrome OS, etc.